Place meat in slowcooker, spread soup over roast. 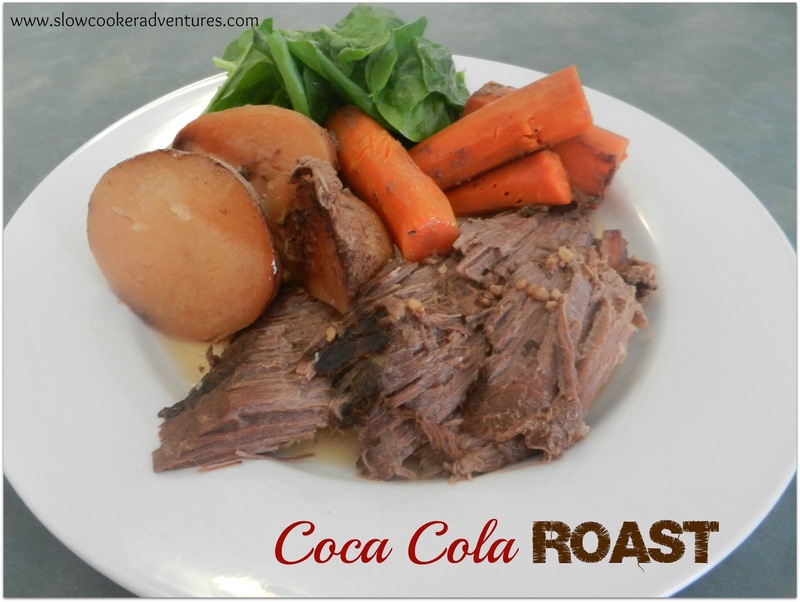 Sprinkle Lipton onion mix over entire roast, pour coke (not diet) down around all and cover. Cook High 6-8 Hours or Low 10-12 Hours. The cola really enhances the beef flavor and breaks down the meat into fall apart goodness!! This couldn't have been easier or better tasting! didn't even have to thicken the "gravy" because it was SO tasty as is!!!! I usually end up adjusting recipes by adding things - I wanted to try this "as is" first - and "as is" it's amazing! When I was a kid there were brands of shampoo on the market that I no longer see any more. But some have stayed for the long haul. Pert is one of those that has been around for a bit and only gets better through time. Now with the Pert 2 in 1 shampooing takes less time but still offers that same great feeling. want yet another way to win?? Check out this super cute batman sock monkey. Since my grandson was a baby his mama has been buying him a sock monkey for birthdays and holidays. He is really into batman and I would love to win this for him. You can enter for your chance to win over at Heck of a Bunch as well. 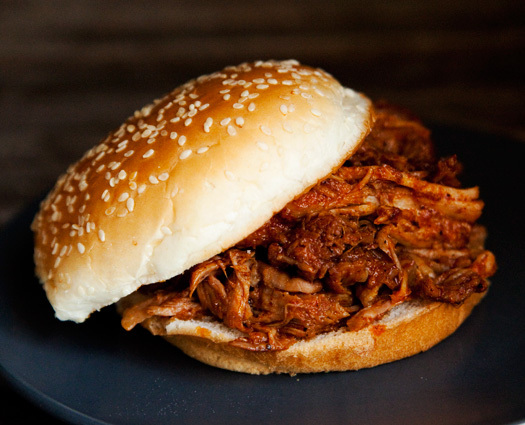 I totally love pulled pork, no real recipe needed. It is so easy to fix and I have made it a number of times. It is perfect for making on a day that you are busy or one that you just dont want to do a lot. It is the perfect dish to put in freezer or to serve guest. You will want a pork loin, you can cut it into pieces or leave it whole as long as it will fit into your slow cooker. Add enough beef broth to cover the meat. (normally around 3 cups or so) You may want to have bbq sauce or steak sauce on hand. Pork loin and enough broth to cover should be placed into slow cooker. Cook on low for 6 to 8 hours. Meat should be able to shred apart. One great idea is to cook this overnight and finish up the next day. Taking 2 forks to shred the pork tear in a crosswise motion. As meat shreds place in a casserole dish. If you choose to not add bbq sauce add some broth. If you are using sauce do it now. Bake for 350 degrees for 30 minutes, uncovered. I simply love to take a slow Sunday style car ride on the back roads of southern Illinois and Kentucky. The beauty of the trees no mater the weather is always something to see. What lives in the forest is also amazing to me. Perhaps the trip will find deer, rabbits, squirrels or the dreaded skunk. On a recent ride through the country side we came upon a flock or family of wild turkeys. What a beautiful site. Recipe is adapted from the Ball Canning and Recipes website. Put all ingredients into a large pot and bring to a boil. After ingredients have softened, use an immersion blender to puree. Reduce heat and simmer for at least 25 minutes, longer if you prefer a thicker sauce. Water bath for 15 minutes. This recipe makes about 12 half pints. toothpick inserted into the middle comes out clean. Let the bread cool in the pan, but on a rack at least 10 minutes before cutting into it. 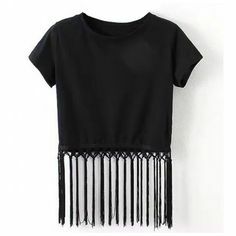 Want to take the ordinary t-shirt and make it into something fun and stylish?? 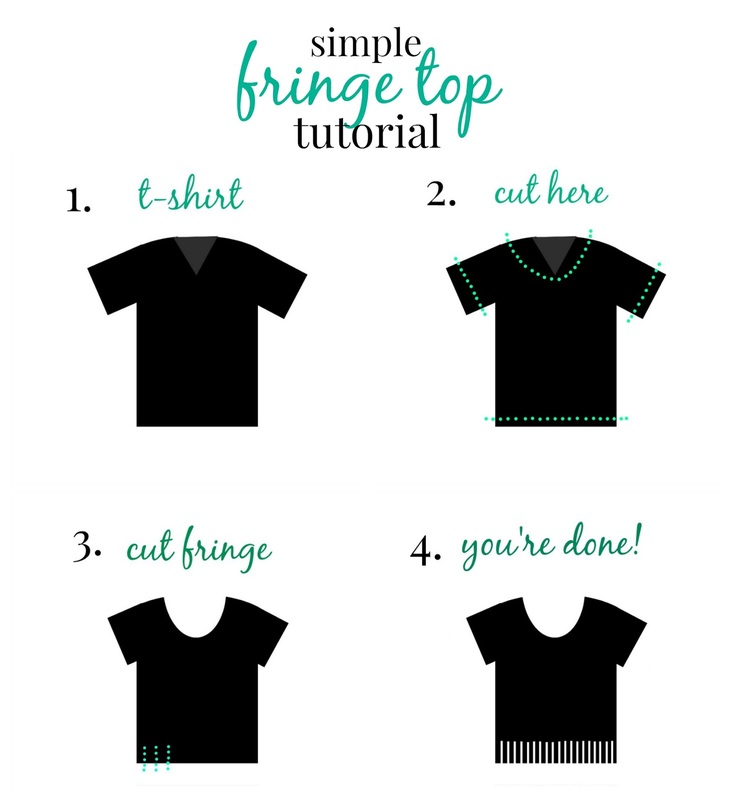 Follow this easy tutorial and you will be on your way. August was always a time for family reunions in our family. If you are attending or hosting a reunion this 7 layer salad may be the perfect dish to take. The salad serves between 12 to 14 or more depending on serving size. I hope that you enjoy your Sundays in August as well as well as this beautiful salad. 1. In a 3 1/2-quart glass bowl, layer lettuce, tomatoes, bell pepper, peas, radishes, and cucumber. Top with dressing, spreading edges to seal. Cover, and refrigerate for 4 hours to overnight. Garnish with cheese and bacon, if desired. 1. In a small bowl, combine mayonnaise, chives, dill, Dijon mustard, onion powder, and pepper, stirring well. Lightly coat zucchini and pepper in italian dressing and sauté in pan until lightly softened (just to take a bit of the bite out, you still want it crunchy). 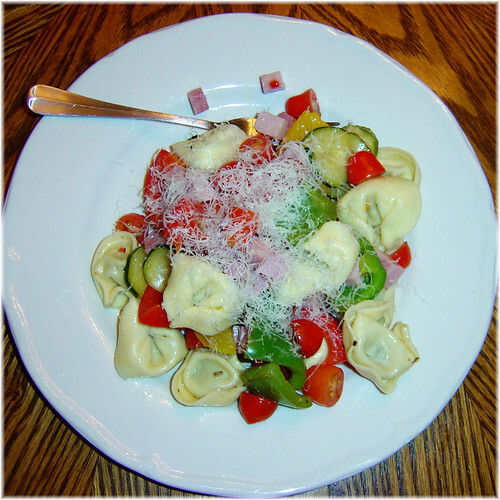 Toss ham, sautéed vegetables, tomatoes, tortellini with just enough dressing to lightly coat. Grate fresh paremesan cheese on top. To the 6 cups of diced mangoes, add the remaining ingredients. Bring to a boil over high heat, stirring to dissolve sugar and mix the spices. Reduce to simmering, and simmer 5 minutes. 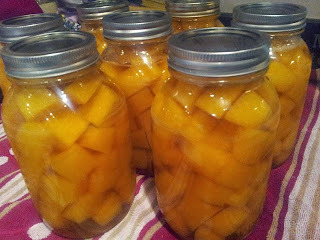 Put the sealed jars in the canner and keep them cover with at least 1 inch of water and boiling. Boil them for at least 20 minutes. Step 1: Slice the tomatoes into slices about 1/4 inch thick. Step 2: Finely chop up fresh garlic and fresh basil. Step 3: Mix garlic, basil, salt and pepper in a small bowl, then add balsamic vinegar and olive oil. Step 4: Let this marinate for about 30 minutes, if you have time. 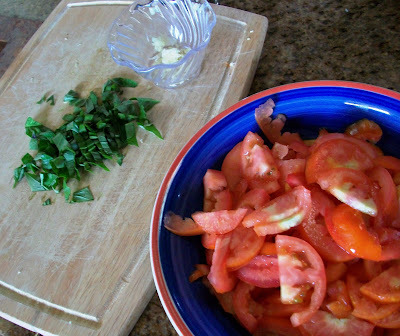 Step 5: Pour marinade over tomatoes and stir carefully, keeping the tomato slices intact. In order to create a more appealing photo for this post, I garnished the salad with edible nasturtium flowers. Is it not attractive? The kids asked why there were flowers in the salad, and, instead of lovingly teaching them that some flowers are edible, such as the nasturtiums in our garden, which taste like pepper, I said during my rush to get dinner done, "Because there just are". I'll do better next time. These cute little cupcake ornaments are perfect for any holiday, birthday or any other special occasions. Easy to make as well. Just use a red bead for the top cherry, Styrofoam ball for cupcake and cupcake wrapper of your choice. Simply decorate however your would like perhaps use glitter to match the theme or colors. 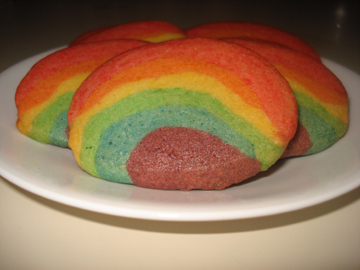 With all the rain that many of us has been experiencing I thought it would be a great idea to share a rainbow cookie. As we all know the rainbow was given to the world as a reminder from God that there will be no more rain. remember - with red, blue and yellow you can make all the other colors. Mix sugar, butter, egg and vanilla. Add flour and mix well. Divide dough into six balls. Add a different food coloring to each ball. Roll each ball in a snake shape onto a floured surface. This is fun for the kids -- just like playdough! Arch snake shape and press onto cookie sheet. Add other snake shapes until the rainbow is formed. Bake at 350 degrees for 8-15 minutes. When cooled let each child taste a piece of the rainbow. My mother always loved humming birds. To watch these beautiful little birds seem to stand still in mid air is an awesome feat to see. To keep them coming around you must provide them with a garden that they love, places they love to nest and / or a bit of sweet food. Butter a 2-quart casserole. 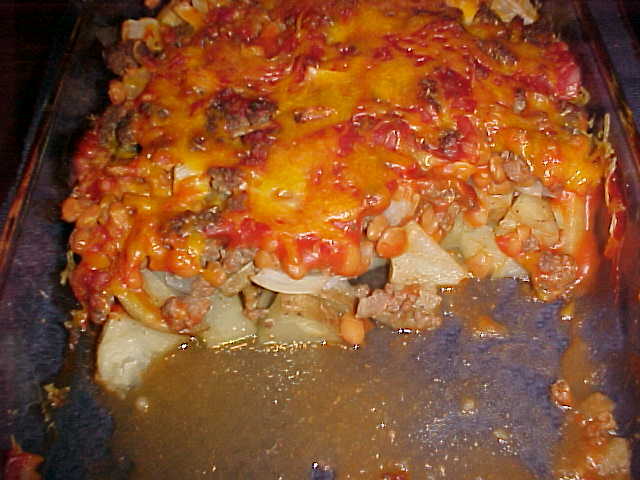 Layer with onions, potatoes, ground beef, rice, carrots, and celery, sprinkling each layer with salt, pepper, and paprika. Combine soup with boiling water; pour over all. Bake at 300° for 3 hours. 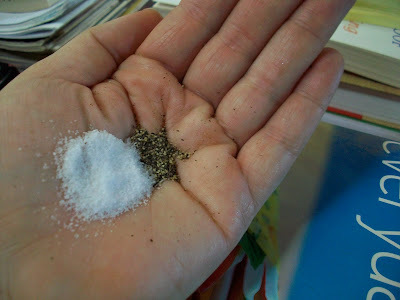 Salt and pepper to taste!! 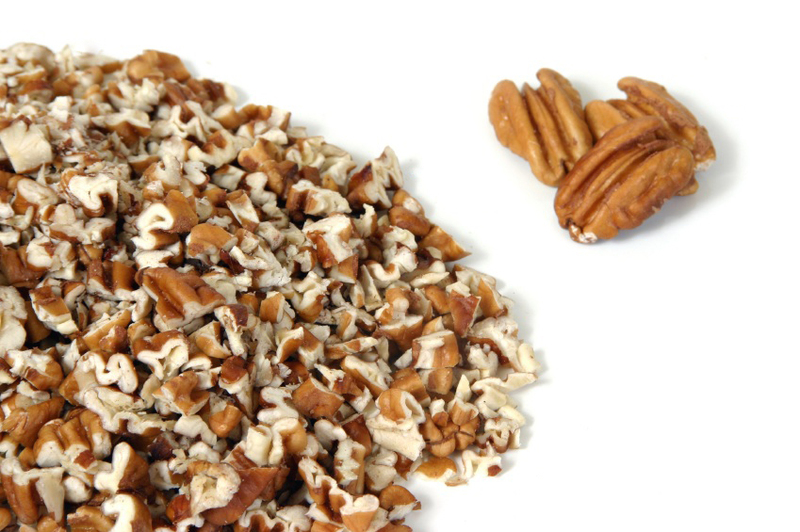 Mix together ... Quick and tasty! Grow your own, purchase at a farmers market or stand or buy one from the grocery store pumpkins can all be delicious and useful. There are pies, cakes, bread, and so much more that can be made with pumpkin. One great idea is to buy those pumpkins on sale and can them so that you can use them at a later time. Whether you grow your own or visit a farmers market to get some there are some delicious heirloom tomatoes available. A great recipe to use these delicious tomatoes in is a tomato tart. Simply slice a tomato or two in about 6 half inch slices out of them. Places the slices on a foil lined olive oiled baking sheet, season with salt, pepper, thyme leaves and some more olive oil. Roast in 375 degree oven for 50 minutes. Now slice a few more tomatoes in smaller slices, put them on a dish towel lined baking sheet, season and drizzle with olive oil. Cover these with plastic wrap and chill in fridge for just a bit over an hour. Using a basil vinaigrette dressing mix with chopped olives. with my life in one way or another. One of my favorite channels to watch movies on is the Lifetime Movie Channel. That is why I loved when I heard the news about the lifetime movie club. more platforms to come in the future. Preheat oven to 350º For crumb mixture, in large bowl, combine all crumb mixture ingredients. Beat at low speed, scraping bowl often until mixture is crumbly, 1 to 2 minutes. Reserve 3/4 c. crumb mixture; press remaining crumb mixture onto bottom of greased 9 inch squarebaking pan. 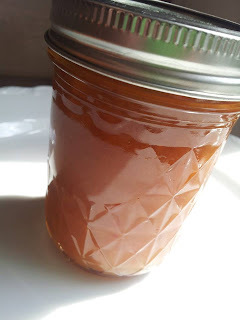 For filling, spread peach preserves to within 1/2 inch of edges of crumb mixture; sprinkle reserved crumb mixture and coconut over top. Bake 22 to 27 minutes or until edges are lightly browned. Cool completely. Cut into bars. Brush the top pie crust with half n half and sprinkle with sugar. Dump sliced peaches in pastry line pie pan. Sprinkle chopped pecans on top of peaches. In a saucepan, mix brown sugar, flour, salt and butter. This will be your butterscotch filling. Heat until well incorporated and the consistency of thick syrup. Remove from heat and stir in lemon juice. Pour this butterscotch mixture over top of the peaches and pecans. Top your pie with the second pastry. Make sure to cut slits to allow steam to escape. 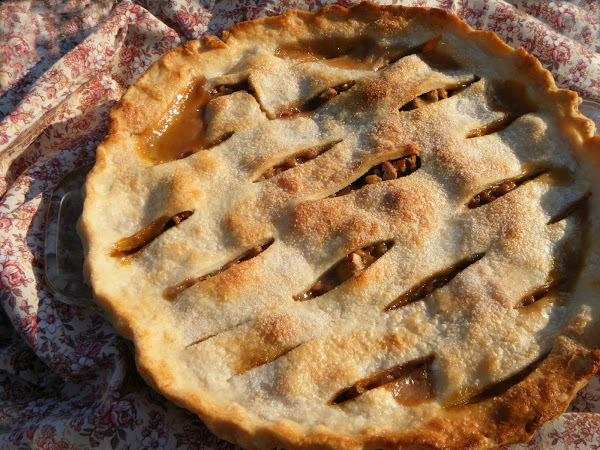 You can do the above design I chose by cutting slits into the dough before you put in atop your pie. Brush your top pie crust with milk or half and half and sprinkle with sugar. Cover edges of pie crust with foil to protect from burning. Remove foil 10 minutes before done. Bake in 425 degree oven for 30 to 35 minutes. Bake pie on a cookie tray pan to prevent spillage in oven. What could be more welcoming than warm, freshly toasted homemade bruschetta? Just spoon these zesty tomatoes onto a toasted baguette and garnish with grated cheese and a splash of olive oil, if desired. 2.) 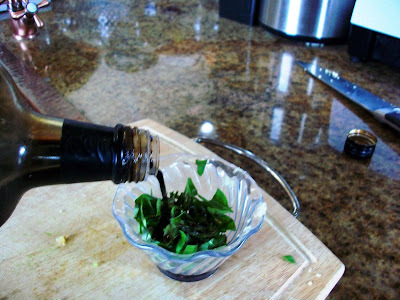 COMBINE garlic, wine, wine vinegar, water, sugar, basil, oregano and balsamic vinegar. Bring to a full rolling boil over high heat, stirring occasionally. Reduce heat, cover and simmer 5 minutes or until garlic is heated through. Remove from heat. 3.) PACK tomatoes into hot jars leaving 1/2 inch headspace. Ladle hot vinegar mixture over tomatoes leaving 1/2 inch headspace. Remove air bubbles. Wipe rim. Center hot lid on jar. Apply band and adjust until fit is fingertip tight. 4.) PROCESS filled jars in a boiling water canner for 20 minutes, adjusting for altitude. 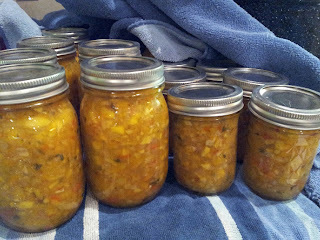 Remove jars and cool. Check lids for seal after 24 hours. 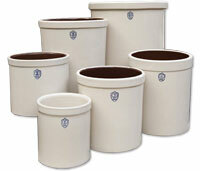 Lid should not flex up and down when center is pressed. Mix together and set over boiling water. Stir until slightly thickened. Add to first mixture. Put into a greased 9" square baking pan and pressdown to that base is evenly spread. Let stand for 15 minutes. Mix together and spread over layer one. Refrigerate for 15 minutes. Melt chocolate over hot water. Do not allow water to boil. Very slowly and very gently, stir in butter until it is just blended. Spread over Layer Two. 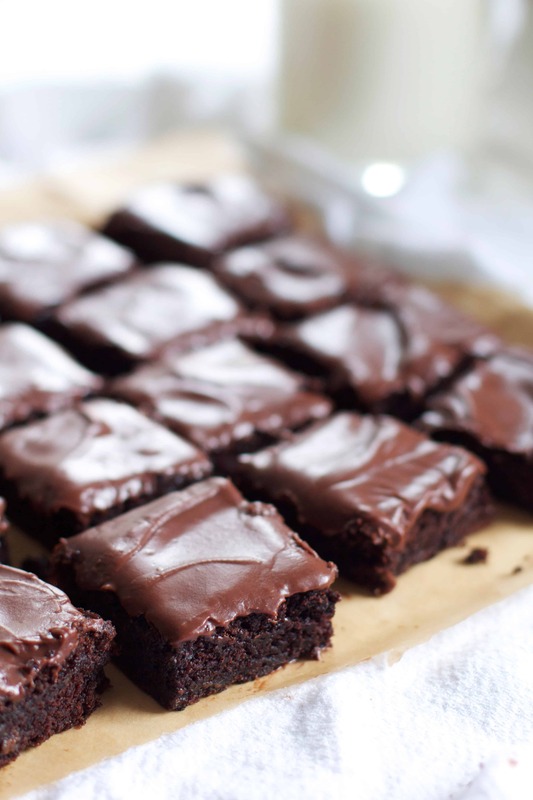 Refrigerate until chocolate is set, then cut into squares. we all loved having fun this summer and really do not want to return to the old school routine. But the truth is no matter what the summer will end sometime and we will all head back to a bit of routine. If we take a bit of time to think about before we are forced into it returning to routine may not be so bad. Back to the routine has forced me to think about the indoors. The indoors means that there will be more chores to do. Since fall and school months are busier with school, sports, and holidays everyone in the house needs to help out with chores. 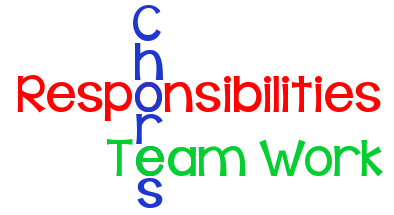 One way to divide up the work between everyone is to create a chore chart. Post the chart somewhere everyone can see. The fridge may be a good place or if you have a family communication center. Following is a list of ideas for age appropriate chores for both personal and family. Note: This age can be trained to use a family chore chart. Ages 6 and 7Note: This age can be supervised to use a family chorechart. Ages 8 to 11Note: This age benefits from using a family chore chart. Be sure to check out the See Kai Run clearance sale currently going on. The prices have been slashed by more than 1/2. The author of this recipe must have loved their garlic and dill so you may want to test a bit to find your selected taste. 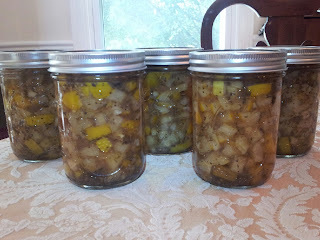 The liquid should be cooled just a bit and then poured over cucumbers and cover Then place container in refrigerator. No crock??? 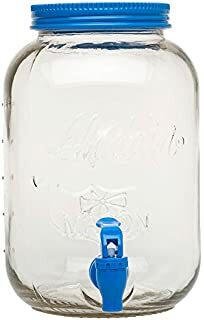 Well consider using a large glass container such as a sun tea maker. The lid will help to keep air sucked in allowing pickles to be really fresh. 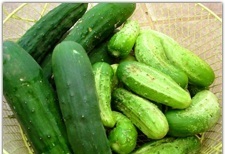 You can use large or small cucumbers All should be set aside and left alone a few days. This allows all flavors to melt together. Pickles will keep several months. I simply love the farmers market. Tomatoes of all sizes and shapes seem to be available. I bought some orange ones the other day oh what a great flavor they had. They also had some heirloom tomatoes I have not tried as of yet but hope to very soon. When you have such a great variety of produce at your hand and all of it fresh and tasty it spells out fresh, quick and delicious meals as well. Garlic Green Beans are easy enough to make. You start out with some butter and 2 cloves of garlic. Let it all get rather warm and melting just a bit then add your fresh green beans. If more liquid is needed then you can add a bit of broth. Stir and cook for about 5 minutes. Serve now and leftovers will be great the next day as well.